The frame Is now In Missouri. I'm not sure when, but someday It will roll again. Not trying to jack the thread.. but whats up Jason? Are you still going to help me with that tank? Can't seem to reach you on the phone. Let me know. 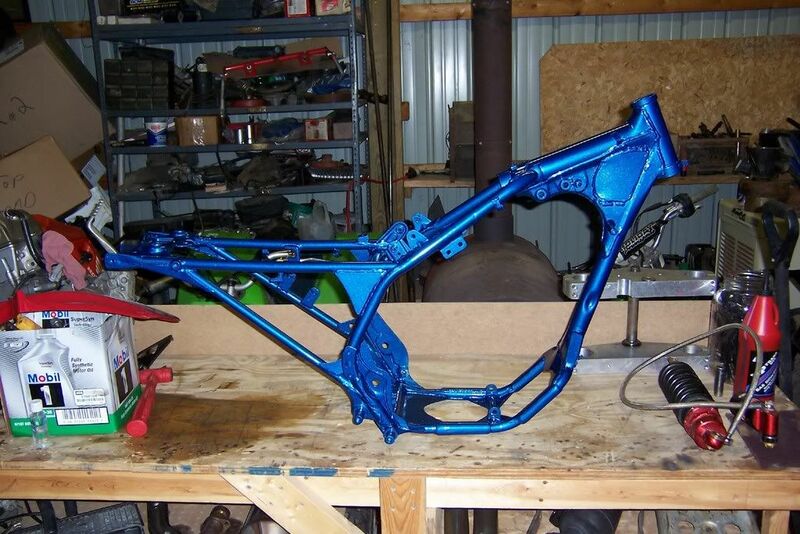 As soon as I get my aluminum frame done, I just might have a modified 350x frame & tripples for sale. I have crazy amounts of time In gussoting the stock frame. 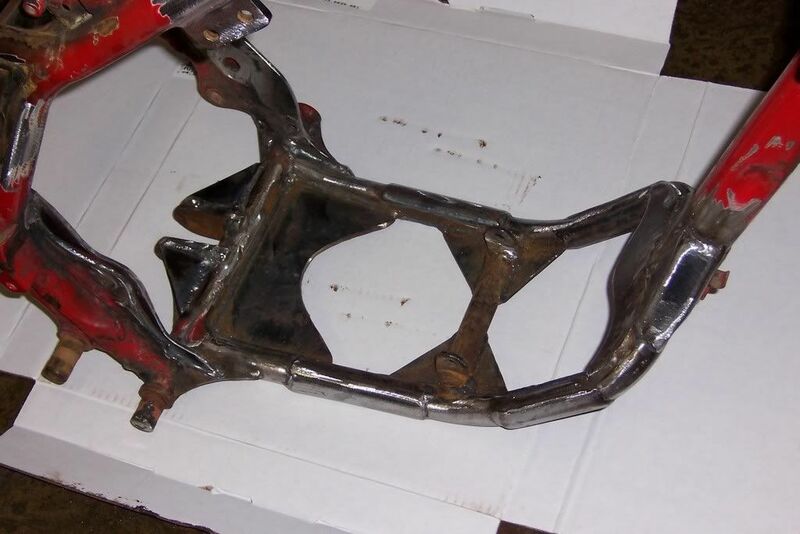 If you have a stock frame to compare to, you will see just how much has been done to this one. The Intake has to be cut off the head & moved over about 1" so the carb will clear the frame on the left side. I don't have an easy way to resize picture's, so It's easier for me to use photobucket. Sorry for the huge pic's & the need to scroll sideways. No I didnt have to scroll side ways. The pics are huge but I have a huge monitor too. I guess people with smaller screens or laptops will have to scroll though. Awesome job though on the frame. man that looks bad a. Nice work there. 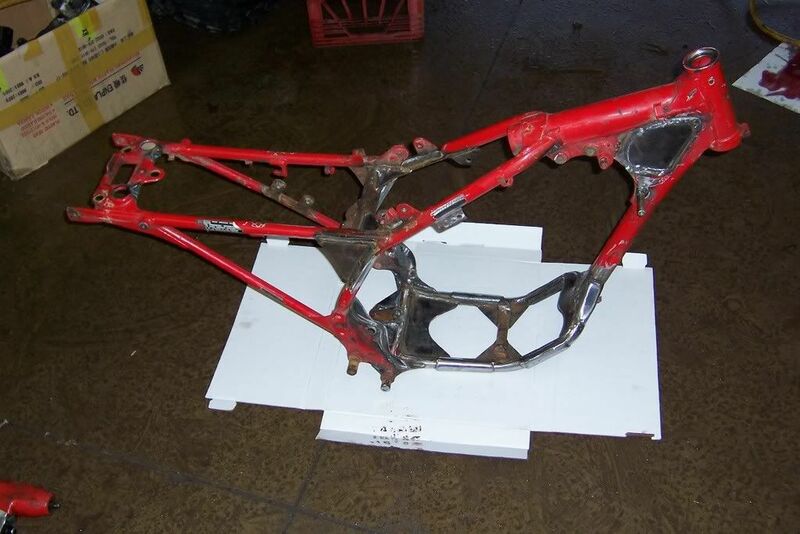 I have a crf 450 engine and I thinking to putting in my x. I have to do a lot of work in the frame to fit the engine? ...I also plan on a white plastic tank as soon as I can. What shape is the metal one in? Do you have plans to sell it?